Q: I’m employed in the real estate industry, which means I’m no longer employed. I would love to keep my house, but have no income right now and I have not made a mortgage payment in five months. I understand that my lender will not likely modify my loan until I find another job. Based on that, I would like to put my house up for sale and do a short sale, but my lender said they will issue me a 1099 and that the mortgage debt they write off is taxable income to me! I can’t afford to pay taxes on hundreds of thousands of dollars. 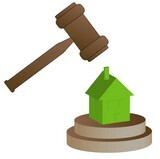 And what happens to all the back property taxes I owe if I do a short sale? Do I have to pay them? I applaud you for not hiding your head in the sand (or under the covers, as the case may be) and for proactively seeking out a resolution to your issue. It is a tough issue you are facing, but the sooner it is resolved, the sooner you can redirect your energies toward finding new employment and income. You are correct that your lender is highly unlikely to modify your mortgage unless and until you can document that you have sufficient income and assets to make the monthly payment, as modified. Additionally, your lender will issue you a 1099 statement charging you with taxable income on the difference between the amount you owed them and the net sale price they receive for your home. Normally, debt that is forgiven in a short sale is required to be reported as taxable income on your tax return. Historically, short sellers were required to pay income taxes on every dollar forgiven by the mortgage lenders. However, under the Mortgage Debt Forgiveness Relief Act of 2007, if you short sell your principal residence between 2007 and 2012, you will not be taxed on the debt forgiven by your lender. So, why would your lender tell you they will still 1099 you if you do a short sale? Because they will still issue you the form so that the lender is able to write off the amount they cancelled on their taxes! Additionally, you are still required to report the amount of debt forgiven, or cancelled on Form 982 with your federal tax return. You must also attach the 1099 that your lender sends you to your tax return. The Mortgage Debt Forgiveness Relief Act simply provides that the IRS will not charge you any income tax on the cancelled debt — it doesn’t get you out of the bookkeeping! To address your question about back property taxes, recall that I said your debt forgiveness is based, in part, on the net sale price. In order to calculate the net sale price, your lenders will start from the sale price offered by the prospective buyer, and subtract all the costs that must be paid to close the deal, including any escrow fees, closing-cost credits, agent commissions, and any tax or other liens that must be paid off before the property’s ownership can be transferred. When your Realtor submits the short-sale application package and offer to your lender, they must include a proposed settlement statement from your escrow holder that itemizes any such liens and all the other closing costs that must be deducted from the gross sale price. Long story short — ordinarily, a seller does not have to pay delinquent property taxes out of their own pocket in order to apply for a short sale. On the other hand, be aware that your lender will exercise its own discretion in determining whether and on what terms they will allow you to sell your home short of what you owe. If they determine that you have a cache of funds somewhere, or that your hardship is not otherwise as you describe it, they are within their rights to refuse to allow the short sale to proceed without you paying the taxes or otherwise chipping in to alleviate the deficit. There is no way to determine your lender’s bottom line or what they will or won’t require from you in the short sale without you putting your home on the market, obtaining an offer, and submitting an application for short sale to your lender. I wish you all the best at this understandably stressful time. 1. Talk with your lender about what they will require from you to apply for a short sale — this list usually includes tax returns, bank statements, income statements, a list of all your bills, and a hardship letter or statement written by you. 2. Gather your financial documentation, in accordance with the list provided by your lender, into one folder. 3. Ideally by referral, locate and enlist a local Realtor with a track record of success at negotiating short sales with mortgage companies. Provide them with your financials, so that they can prepare the short-sale application and have it ready to shoot to your lender the moment an offer to purchase your property comes in. Tara-Nicholle Nelson is author of The Savvy Woman’s Homebuying Handbook and Trillion Dollar Women: Use Your Power to Make Buying and Remodeling Decisions. Ask her a real estate question at www.inman.com/buyers-sellers/columnists/tara-nicholle-nelson or visit her Web site, www.rethinkrealestate.com.